We joined a CSA this summer, and we picked up our first weekly box a few days ago. It’s been a lot of fun so far trying to figure out what everything is and what to do with it. The tricky part is trying to figure out how to use it all up before the next weekly box arrives. The first week was all greens, except for popcorn. Needless to say, salad has been on our menu every night. 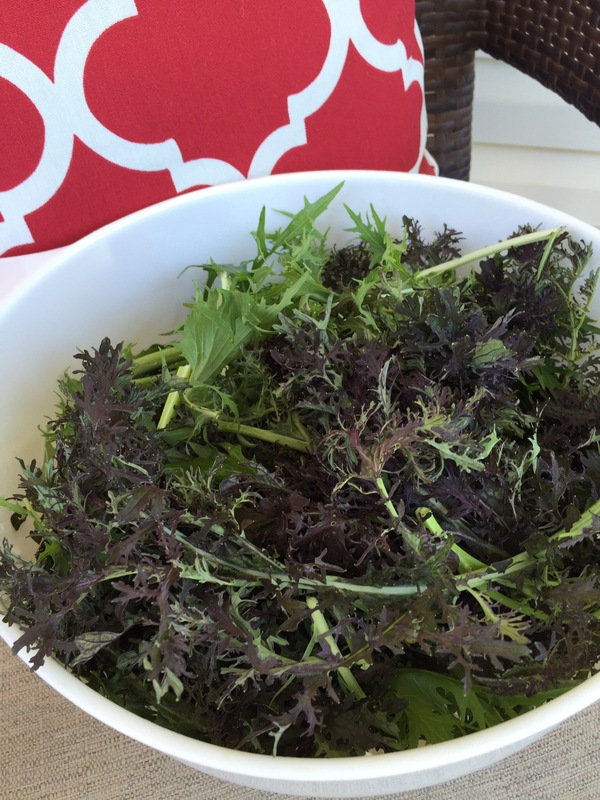 We got a huge bag full of mustard greens in our box, something new to us. I found this recipe, which was a nice shift from eating them in salad. Even better, pesto can be frozen. I made a slight modification by substituting cashews in place of walnuts. I washed the greens well and discarded the thick stems. 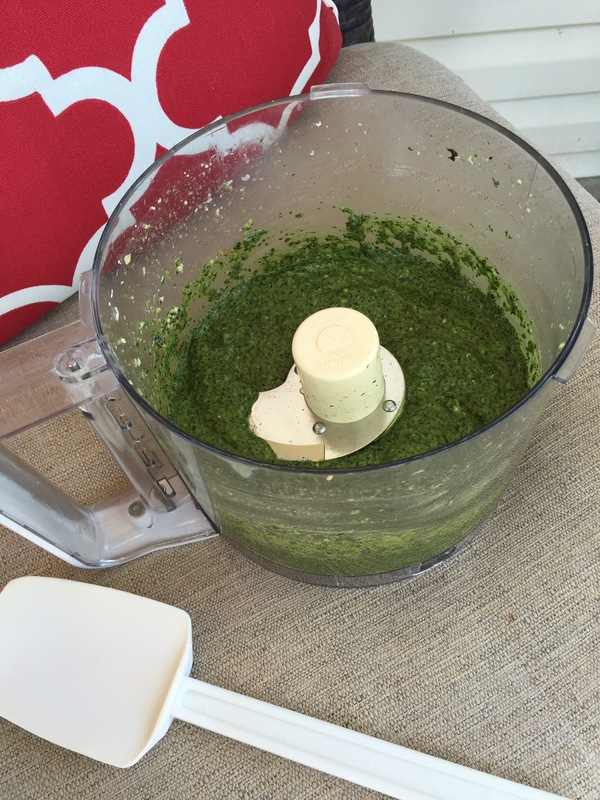 Then, I pulsed the garlic in my food processor, added the greens, cashews, olive oil, and salt, and then pulsed again adding a bit more olive oil until the mixture was a good consistency – not too thick. 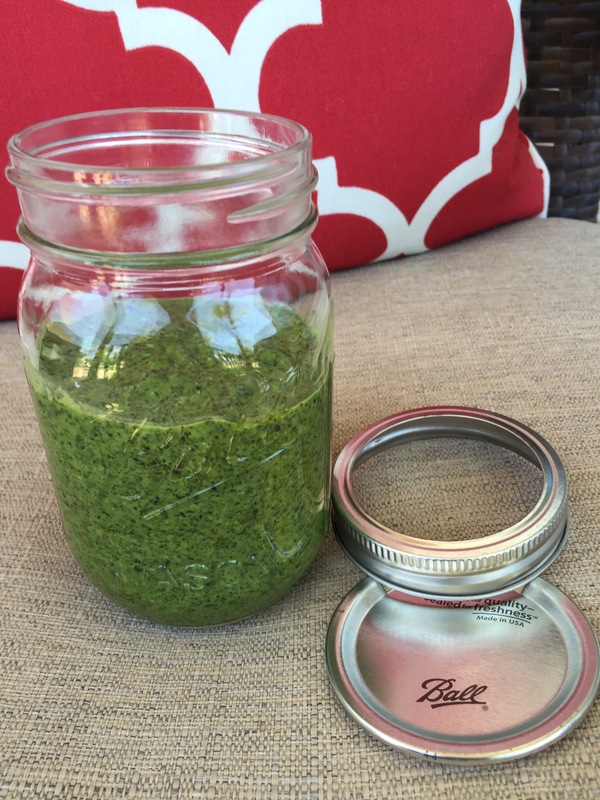 You can store the pesto in the fridge or pour in an ice cube tray and freeze for later. Serve on pasta or slather on crackers or crusty bread. A few scoops is all you need, as it packs a punch of garlicky-mustard flavor. It was delicious on cheese tortellini topped with fresh grated Parmesan. Doesn’t a pink cake just scream “HAPPY FATHER’S DAY!!!”….??? Well, maybe not. But, this cake is special. For the June cake selection, as part of the Cake Slice Bakers, I carefully selected this lovely pink cake for my husband. You see, he loves strawberries. Every year for either his birthday or father’s day, I try to make him something with strawberries in it. Strawberry pie. 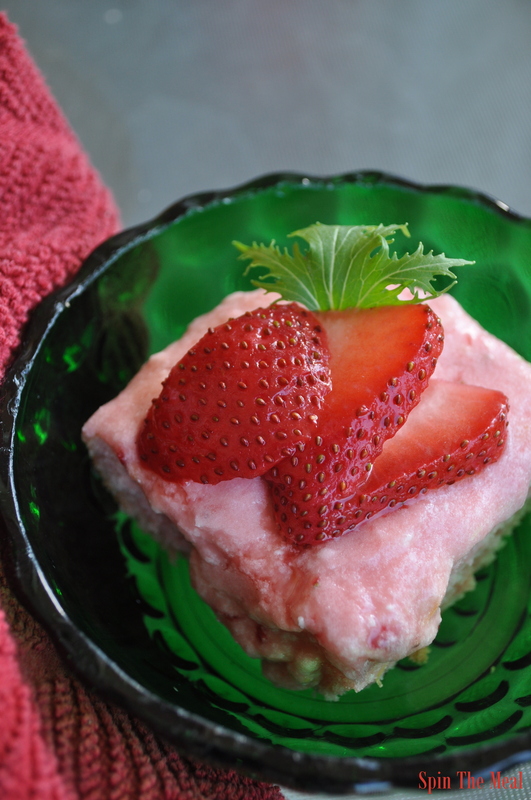 Strawberry shortcake. Strawberry ice cream. Etc., etc. 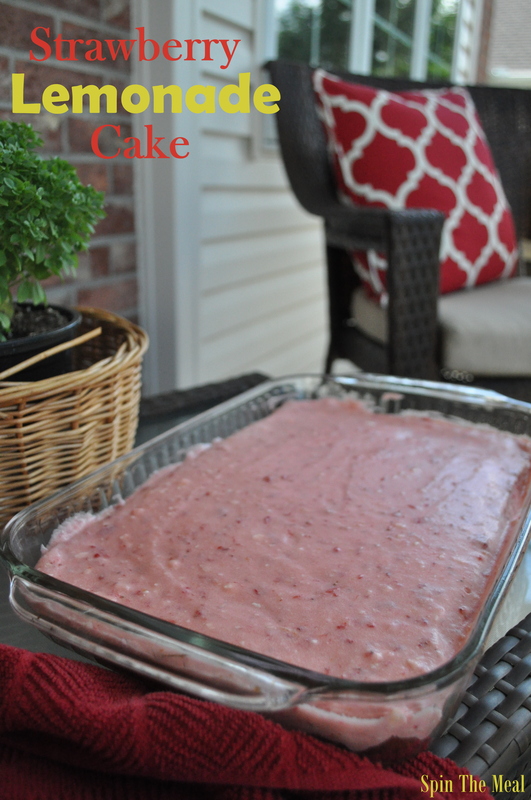 With my monthly cake baking deadline the same weekend as father’s day, I decided on the Pink Lemonade Cake recipe from Southern Living’s The Southern Cake Book. 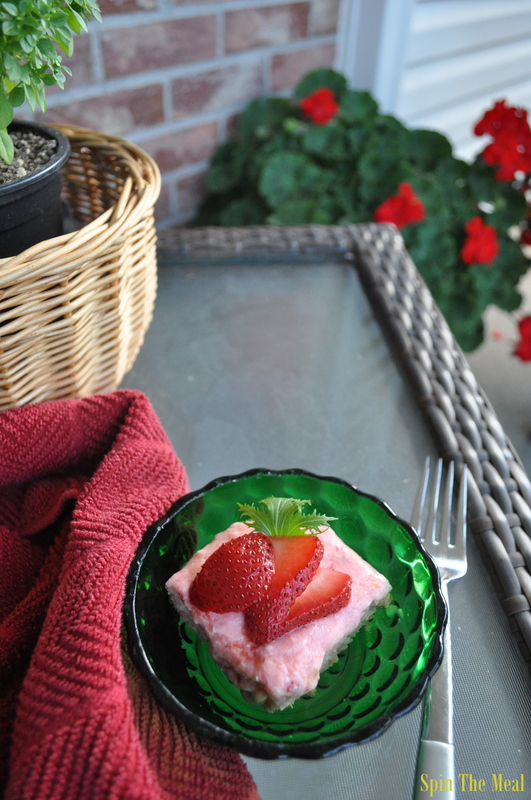 I did, however, make one substitution by substituting the pink lemonade mix with fresh, crushed strawberries…thus, Strawberry Lemonade Cake. The cake came together in a flash. It was quite dense, though. I believe that’s on account of the directions that said to mix the flour with the remaining ingredients without first whipping the butter. 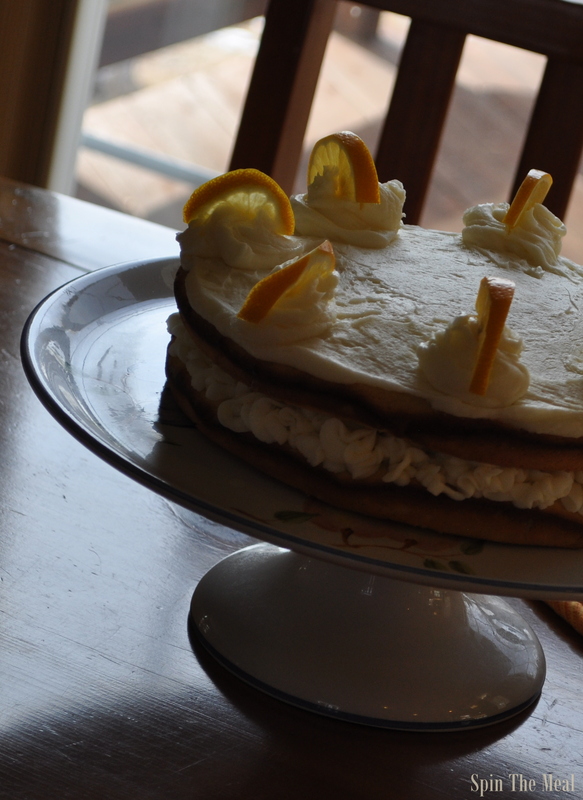 Regardless, it was a fairly tasty cake. I’m not sure that I’d make it again, but it was a great, suitable cake for the occasion. If you ever had even the remotest of urges to bake a cake from scratch, THIS is THE CAKE to bake. 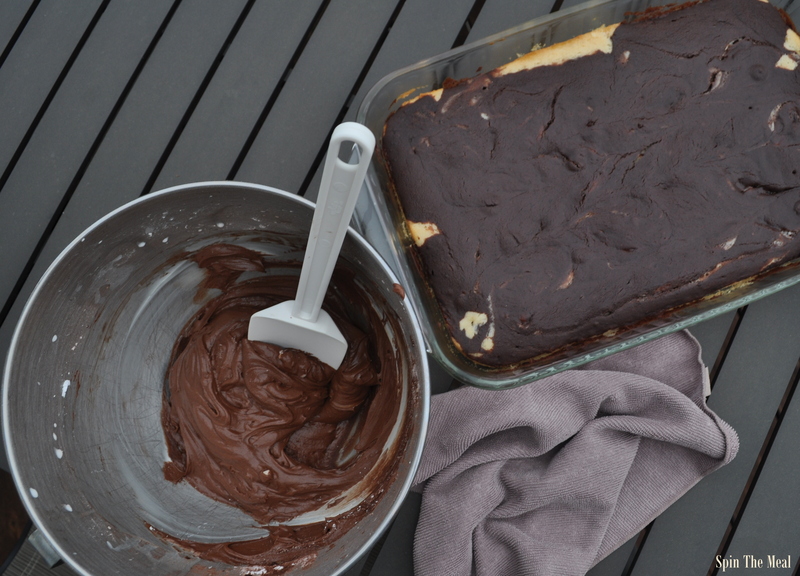 Reason #1: All you need is a standard 13 x 9 pan. No fancy round pans, stacking, or balancing act needed. Reason #2: It’s THAT good. As in, the stuff of dreams. Moist, delicious, marble crumb. Smooth, rich, chocolate buttercream. This is THE CAKE that you want to bake for a birthday, an anniversary, a graduation…really any day of the week. Wednesday will do. Yeah…we made it half way through the week. Now, let’s eat cake. As I mentioned in last month’s post, I’ve joined a new gym and have embarked on a rigorous daily workout program. Cake has never been further from my mind. As proof: my 25 pound bag of flour has sat lonely in the cupboard, barely seeing the light of day over the past several weeks, only to appear briefly to dispense a cup or two here or there for a batch of pancakes for the kids. In earlier days, I could go through a 25 pound bag in a matter of weeks. On big baking days, I could burn through a good 10 pounds of flour without blinking. Notice my tiny 5 pound bag…isn’t it cute?!?! I’ve been on such a good roll with my new cake-less routine and healthy diet, that I almost skipped baking this month’s cake. But then, with only 2 days to spare until the monthly cake reveal, I decided to give the four options a quick look and decided that if I had everything on hand, I’d give it a go. This cake. THIS CAKE. I can’t even begin to describe how I feel about this cake. All I can say is that it’s just that good. It’s that good AND it’s easy. 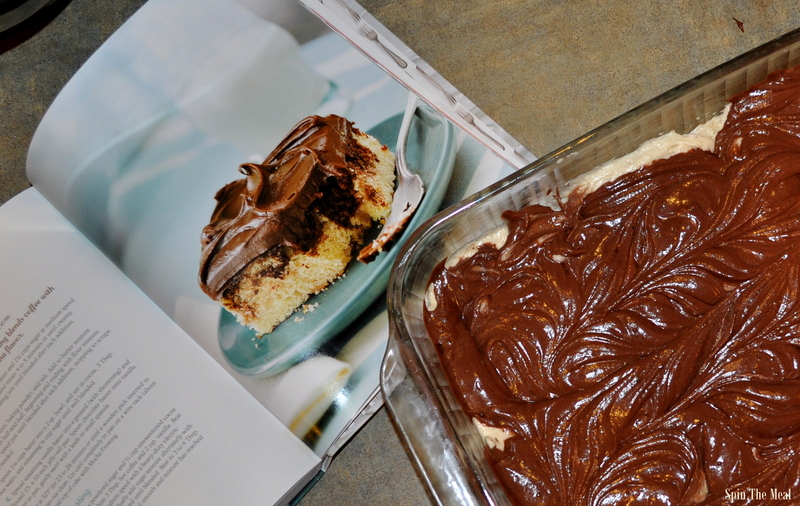 I literally mixed up the batter, plopped the white batter in the pan, plopped the chocolate batter on top, and baked it. 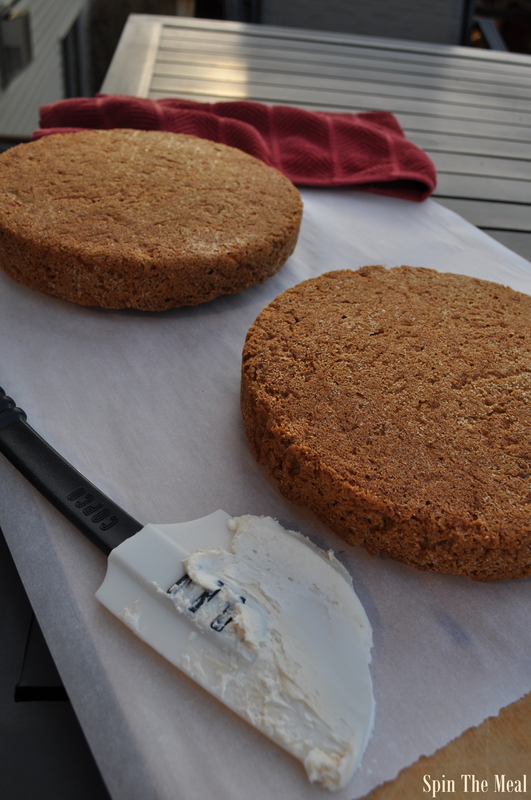 Once it cooled completely, I whipped up the buttercream, sampled some, plopped it on the cake, sampled some more….it was SO good, and smoothed it with a spatula. And then…well luckily my camera was close because I barely got a picture of the finished cake snapped before I couldn’t resist cutting into it and carving out a huge chunk. Needless to say, this cake did not last long in our house. Just make it. Trust me. Check out what the other Cake Slice Bakers made this month. 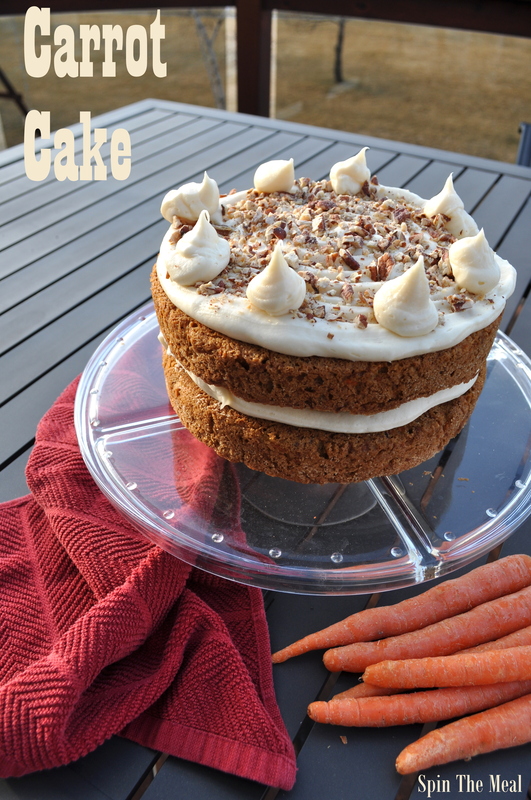 The April cake reveal has finally arrived, and this month, of the four choices we had to select from in our cake baking club, I chose to bake the carrot cake…a truly perfect cake for the Easter season. This month I faced the ultimate dilemma. You see, as a baking enthusiast, I not only love to bake the cakes, but I also love to sample the cakes. I could eat cake for breakfast, lunch, and dinner. 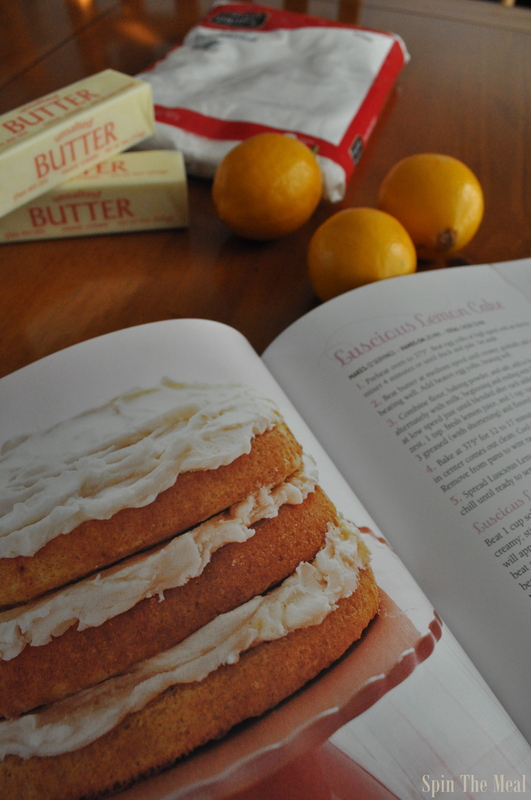 Mmmmm…buttercream. Who couldn’t, right? But, I took a big leap this month and joined a new fitness program. The initial program lasts for 10 weeks with a mix of kickboxing, cardio, and strength training workouts six days a week. Proper nutrition is essential to success in this rigorous program. Which means: CAKE is out. Ouch. It pains me to even think of it. Fortunately, the one day a week that I’m not working out is considered a “fun day”…which I translate to CAKE DAY. On “fun day” you can eat whatever you want whenever you want. Yippee!!! In fact, I just might eat cake for breakfast, lunch, and dinner that day! And yet. I could resist the urge to eat the cake and instead bring it in to the office to share with my coworkers. That’s what I did with this month’s cake. One of my work friends had a birthday, and I had already planned to bake her a carrot cake, and the stars just happened to align in that carrot cake was one of the four options in our cake club this month. 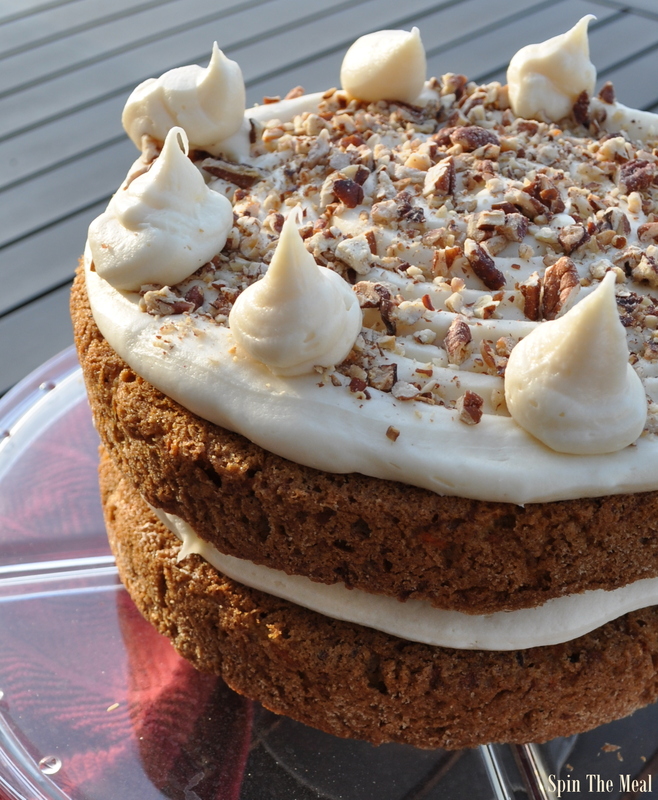 Aside from black forest cake, I’ve got to admit that carrot cake takes a close second in my book. 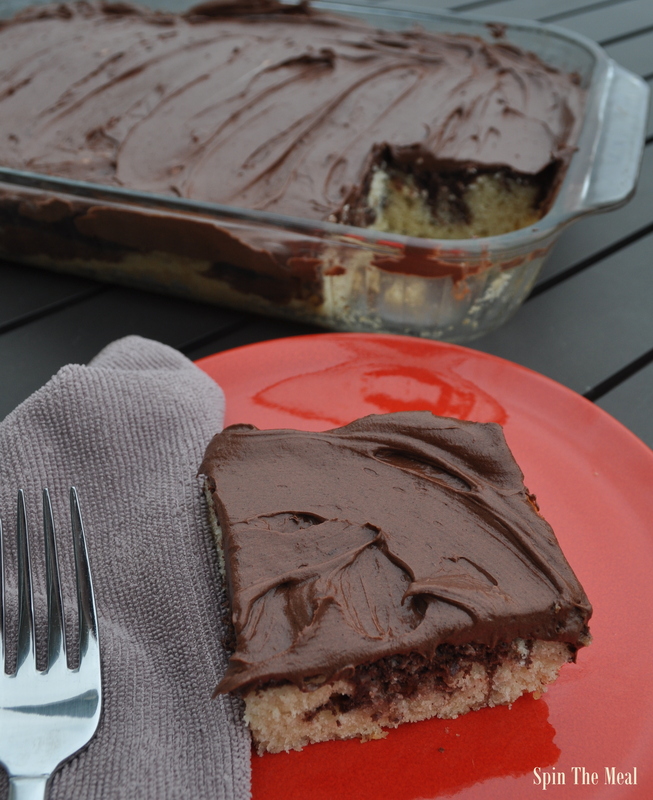 The creamy, thick frosting…and the moist, burnt umber hued crumb. 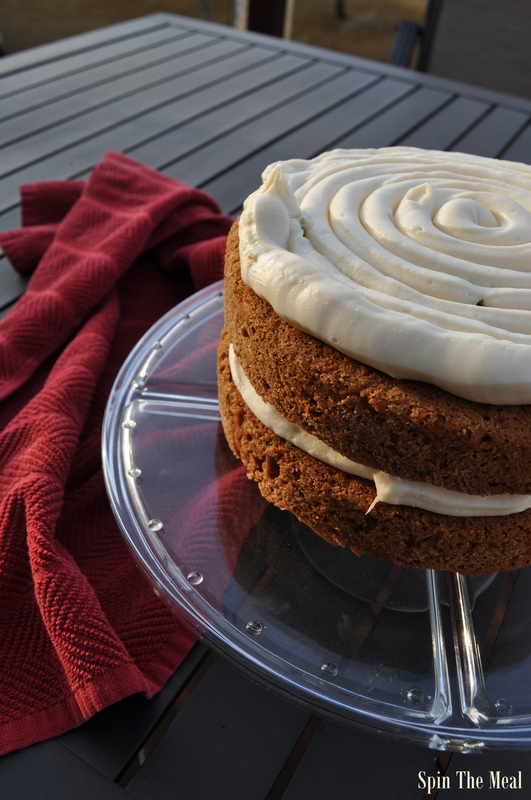 Southern Living rates this recipe among the best carrot cakes they have ever tested. It disappeared fast, and tasted great. Definitely a keeper recipe that I’ll make again. 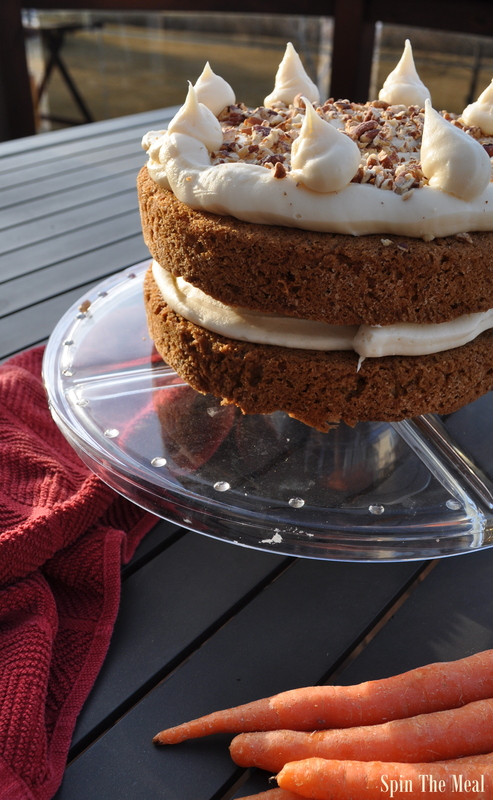 The cake turned out moist, and the cream cheese buttercream was a delicious compliment to the cake. I topped it with toasted pecans, as well. So, at least for the next 10 weeks, maybe just a little slice for myself won’t hurt. All things in moderation, right? Someone has to review the recipe, after all. I can’t just stop baking and let my fellow Cake Slicers down! Might as well find a happy medium between the cake and the boxing glove! Here’s the recipe, if you’d like to give it a try. You will not be disappointed. 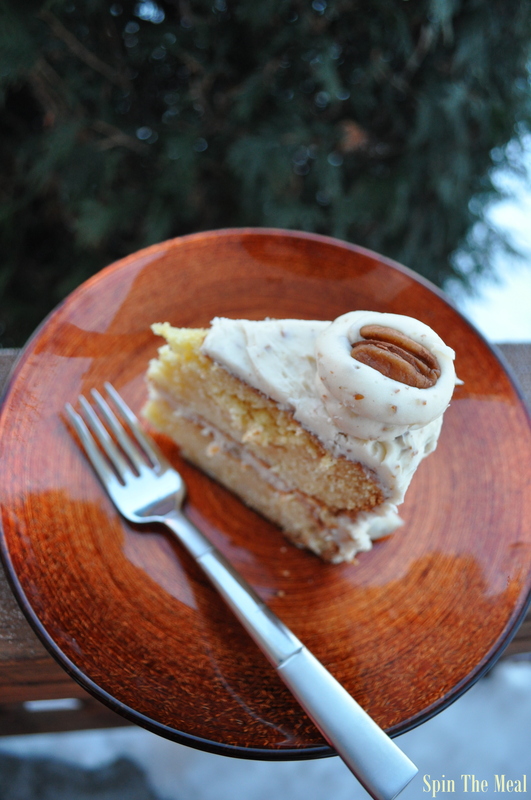 By the way, the other three choices this month included: Coconut Cheesecake Squares, Brown Sugar Pecan Coffee Cake, and Green Tea Honeysuckle Cake. 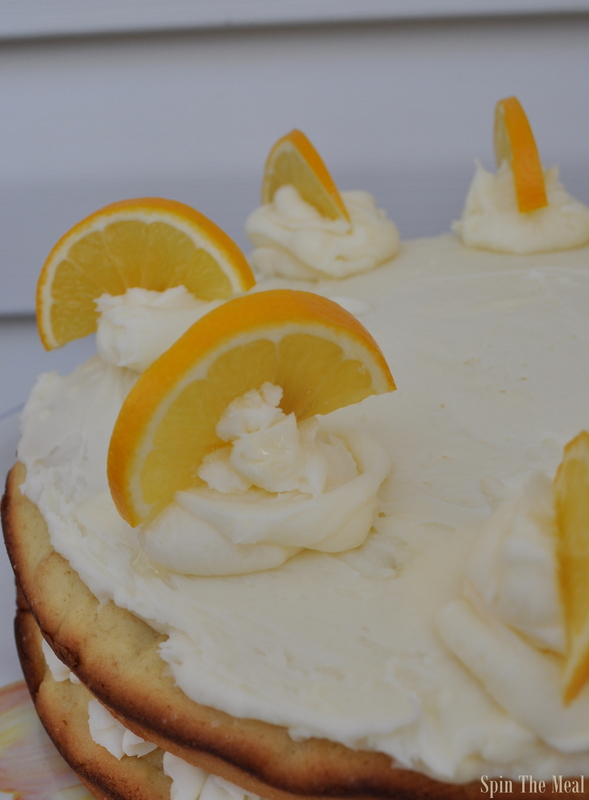 If you’d like to see which of the four cake recipes my fellow Cake Slice bakers selected to bake this month, click on the link below to check out their sweet treats. Sometimes things just don’t go exactly as planned. So it goes for the March cake. I happened to have all the required ingredients and few spare minutes to knock this out on a recent Saturday. The only thing I didn’t have were three round pans of the same size, which was what the recipe prescribed. 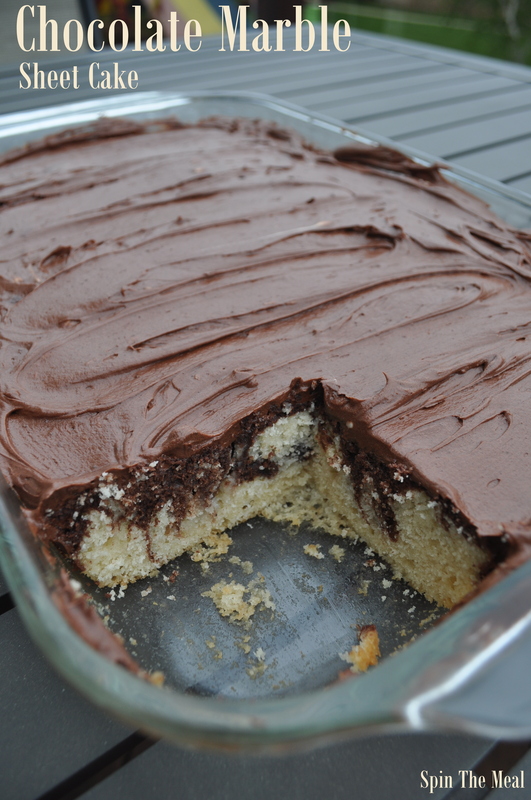 Instead, I opted for two layers, and given the results, I’m really glad I did. 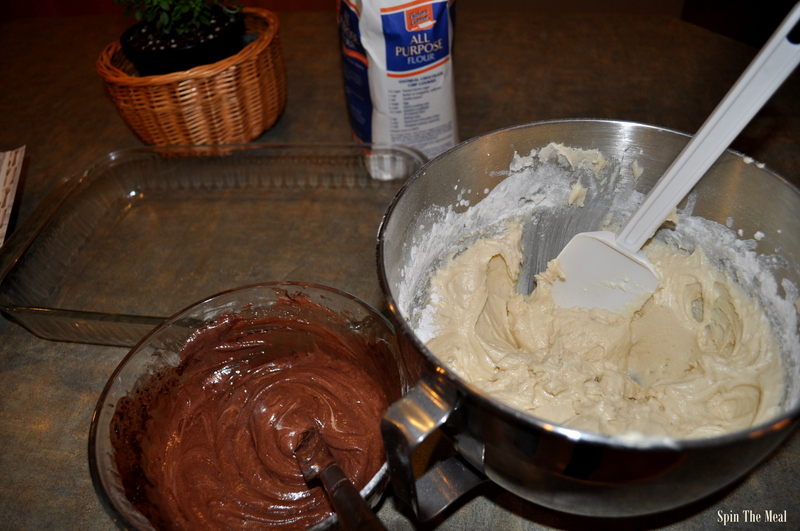 Forging ahead, I used a spatula to spread the batter between the pans, trying as best I could to smooth and level them. Into the oven they went, and off I went to some other distraction until the timer buzzed. The next sign that something was wrong came as soon as I pulled the pans out of the oven and noticed the layers were flat and dense. Referring back to the recipe, I quickly realized that, in my haste, I had added only 2 tsp of baking powder…not the 2 Tbsp that I should have added. Oops. The first sign of unexpected consequences was when I tried to pour the batter into the pans and it did not move. 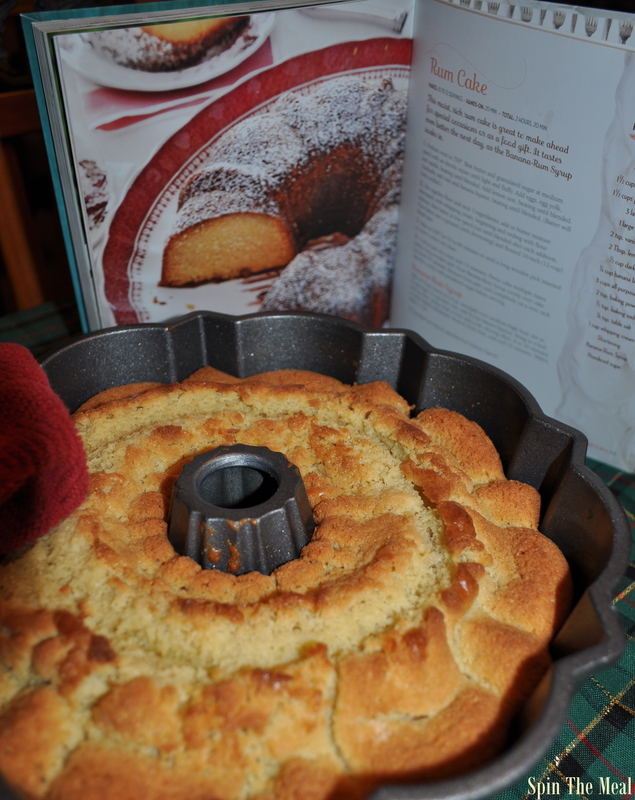 As in…I could literally tip the bowl upside down, and the batter would not fall out. On to the frosting while the layers cooled. I added a bit too much powdered sugar, resulting in a relatively stiff buttercream, similar to a thick cookie frosting. That’s when it hit me. This cake wasn’t really a cake, but more like a giant layered cookie. 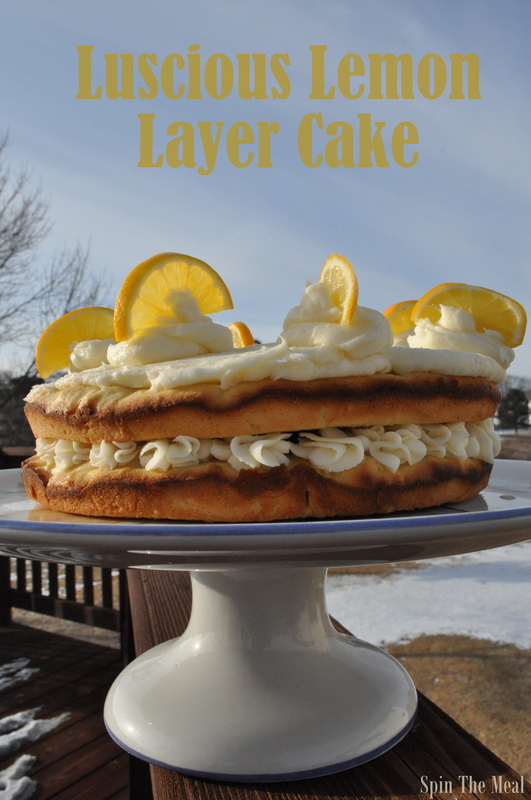 Alas, the layered sugar cookie “cake” with luscious lemon buttercream was born! I was chopping up some produce from my recent shopping trip, when it struck me – vegetables are so beautiful. 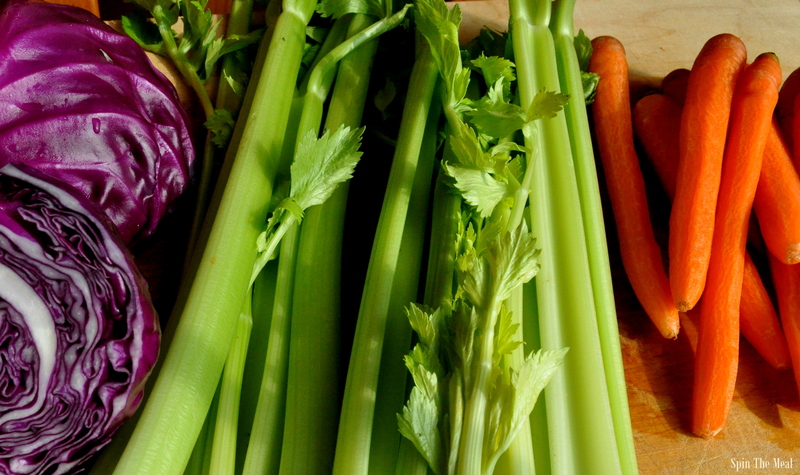 Just look at the vibrant colors of these carrots and celery. 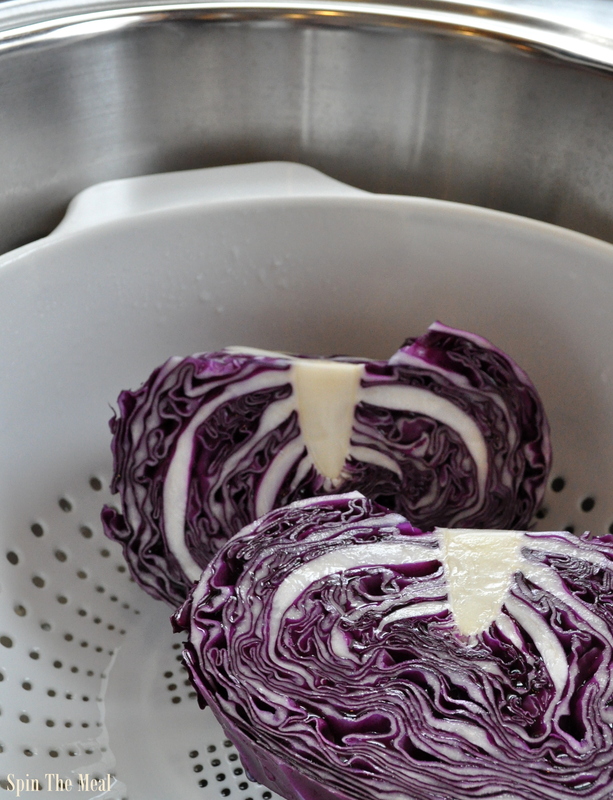 Check out this cabbage…the deep purple hue…the ribbons and patterns of each layer. My goal this year is to delve deeper into “eating the rainbow” as some nutrition articles call it. I’m hoping to spread the veggie love throughout our household. To accomplish this, I’m branching out by seeking colorful fruits and vegetables that we haven’t purchased in the past. This cabbage is an example. My 10 year old and I were watching Pioneer Woman recently, and we saw how she added red cabbage to a smoothie and then froze the mixture into smoothie pops. She’s so darn clever. While the 10 year old loves veggies….the 8 year old does not. Well, other than corn and potatoes…which don’t count. Enter, the cabbage-sicle. Wish me luck. And no, I firmly believe that blended trickery is not the answer, but it’s a start. Baby steps. We’ve also joined a CSA, which will provide an ample source of locally grown veggies each week as well as allow us to support a local farm. This will be our first CSA endeavor, and I’m totally psyched for it. My biggest fear is that we won’t be able to eat all the fresh produce we receive each week before it goes bad. Fortunately, with my foray into canning last summer, I hope to can and freeze any excess to preserve as much as possible. I’ll still have my garden, so I’m already anticipating that there will be some weeks when we just can’t eat any more veggies. So, back to the cabbage. 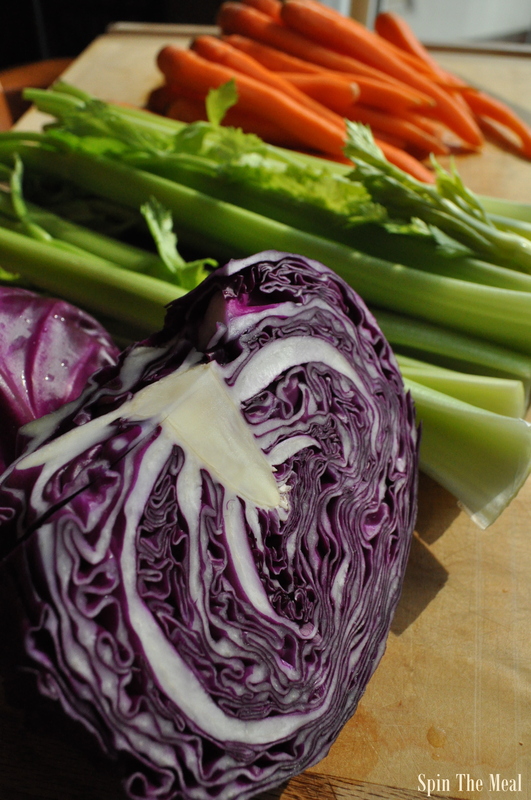 Aside from the cabbage-sicles, I’ve found a great carrot and red cabbage slaw recipe that I’m going to try. And, I haven’t even started in on exploring the endless recipes on Pinterest for “new to us” veggies. It’s February. A short month. A month of hearts, love, and a whole lot of pink and red. 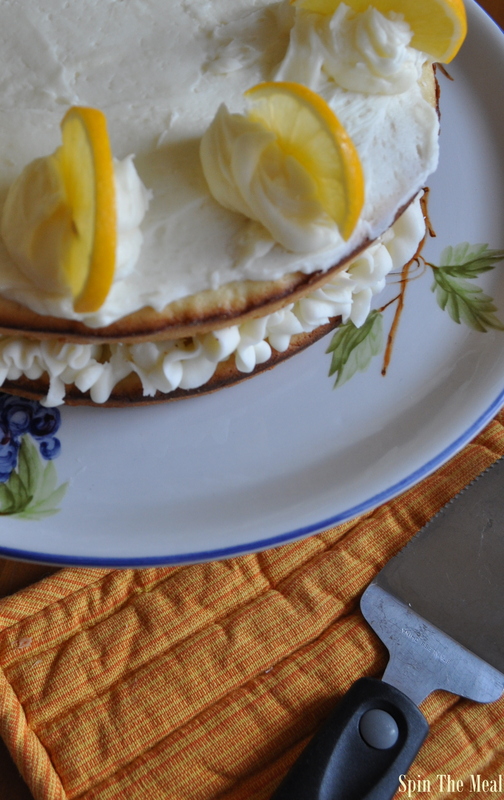 To me, there’s no greater way to share the love than with a homemade cake. Baking brings me so much joy. Baking for others is such a wonderful way to celebrate life’s special little moments. The more I delve into this world of a million possibilities crafted out of a simple combination of flour, butter, eggs, and sugar…the more I know this is my thing. This month, I chose the red velvet cake out of the four options we had for our Cake Slice Bakers club. The other choices were: king cake, black and white torte, or Mississippi mud cake. All good options. While I love a good red velvet cake, I don’t love the amount of red food coloring that goes into the batter to make it a deep, blood red. Sooooo….I made a few tiny little changes. I basically baked the cake true to the recipe with the exception of the 1 ounce of red food coloring it called for. I did use a few drops, just not the four 0.25 ounce bottles per the recipe. 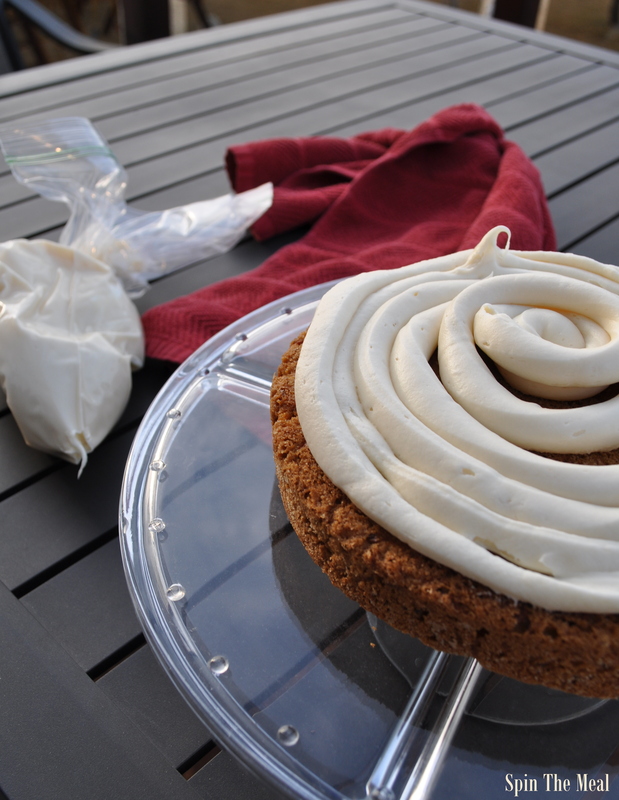 I also modified the presentation, including the frosting. While the recipe suggested a more traditional white mascarpone frosting, I used a whipped cream cheese, butter, cocoa, and powdered sugar combination, and then I covered that with pink, peppermint, homemade marshmallow fondant. 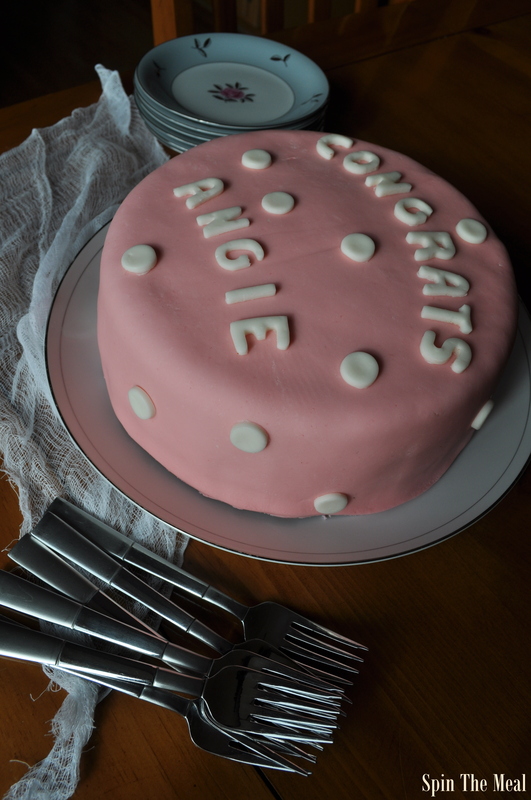 I decorated it with white homemade fondant and we enjoyed it with our friend who recently received a big promotion at work. This is the most I’ve ever changed up one of our monthly cakes since I started baking with The Cake Slice club. I do hope my fellow Slicers forgive me. I mean, my cake wasn’t even red inside…it was brown. And if not, I can always redeem myself next month! There’s always so much to discover in the produce section of the grocery store. I just love checking out all the items that I’ve never tried before and figuring out how I could incorporate them into recipes. My neighborhood grocery store carries lots of variety to cater to the diverse residents of our area. Right next to artichokes and peppers, you’ll find lemongrass, aloe vera, and giant cactus leaves. So many fun things to try. On a recent, weekly grocery store trip, I discovered wonton wrappers in the refrigerated produce section. There they were, right next to the mini bags of baby carrots and prepackaged sugar snap peas. Beside them were egg roll wrappers. Two things I’m sure most grocery stores carry, yet I never seem to come across when I have a recipe in mind that requires them. Both sounded like a fun adventure; however, deciding I’d better start with something a little more simple, I opted for the wonton wrappers. Just wrap them around some cream cheese, and you’ve got a simple, two-ingredient appetizer. Since I was already in the produce section, fresh jalapeños were just a few feet away. 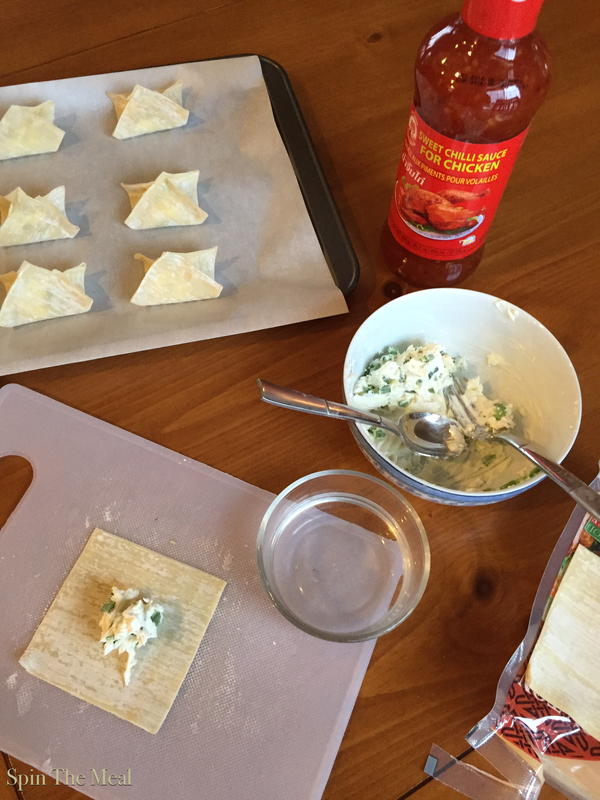 Why not add a third ingredient to give the wontons a little kick, right? So, into the cart they went. Along with a bag of Meyer lemons. Haven’t decided what I’ll do with them yet, but they were just so cute and irresistible! Anyway, the wontons were quick to put together and drew rave reviews, so I thought I’d share my recipe here. 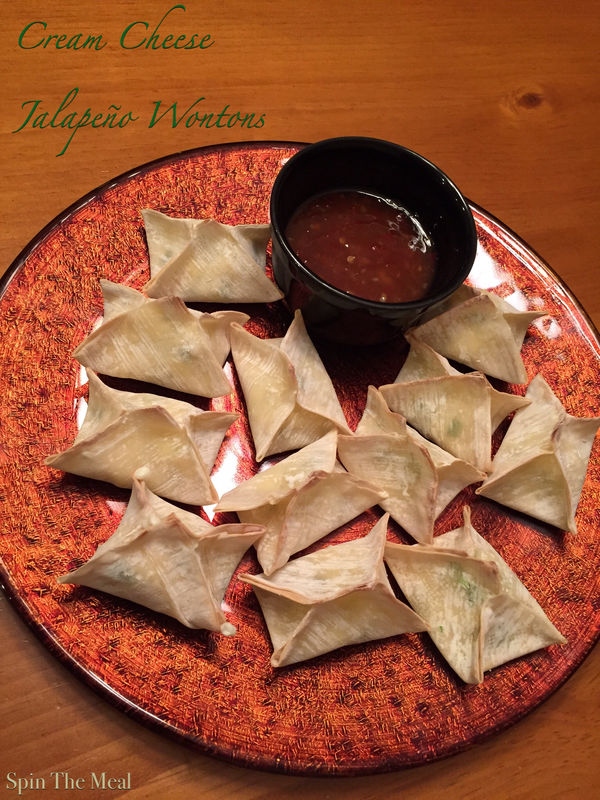 Even better, these are baked, so they are healthier than the traditional fried wontons. Enjoy! Mix cream cheese and jalapeños in a small bowl. Fill a second small bowl with water to use for sealing wontons. 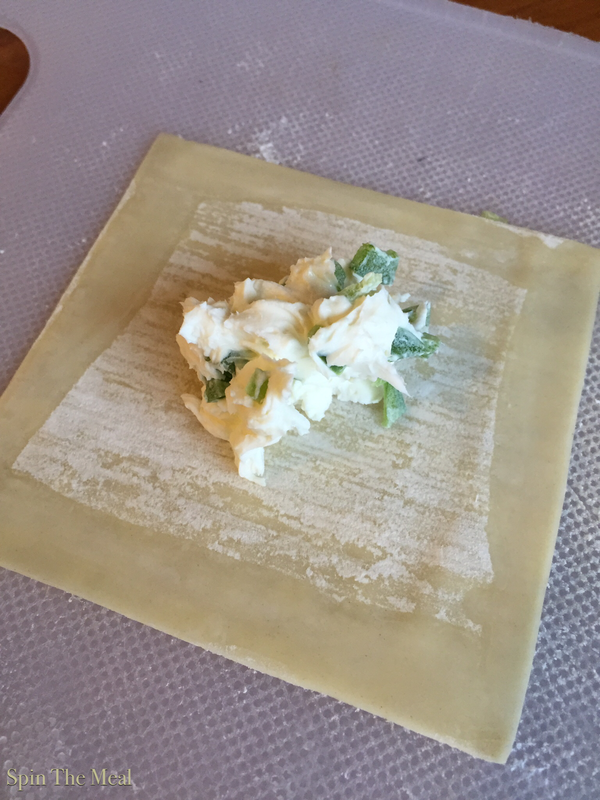 Place wonton wrappers on cutting board and portion out cream cheese mixture among all 12 wrappers by placing about a teaspoon of mixture in the center of each wonton. 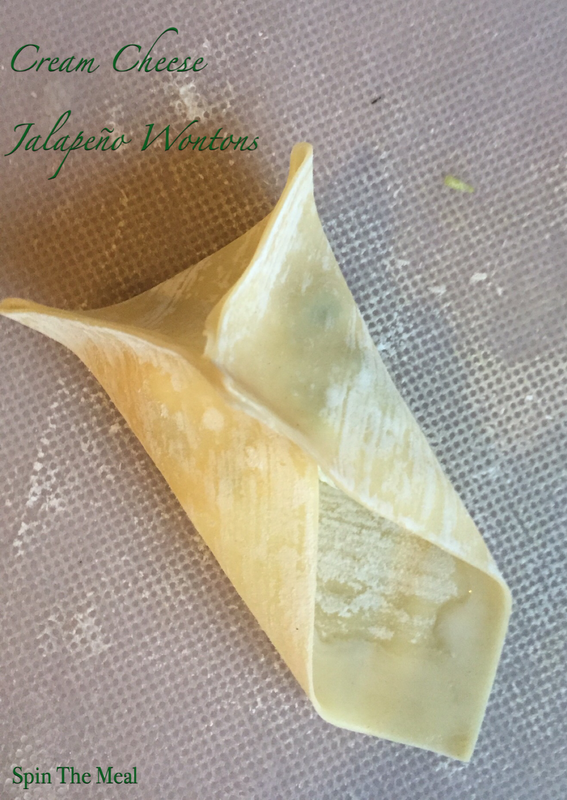 Dip your finger into the small bowl of water and wet the edges of the wonton wrapper all the way around. Pull up opposite corners over mixture and seal on top. 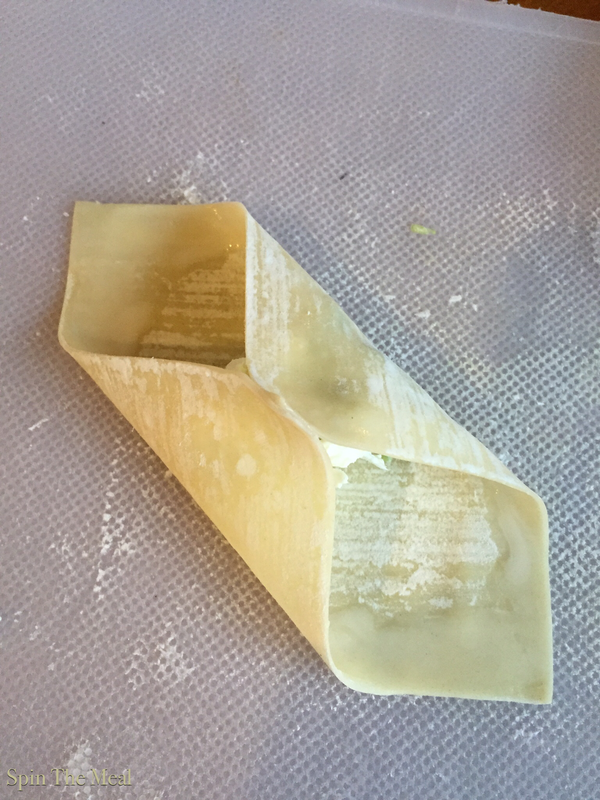 Then, pull up the remaining two corners and seal to form a little bundle with the corners all sealed on top. Place on a parchment paper lined baking sheet. Bake at 400 degrees for 8 -10 minutes or until wonton wrappers begin to brown slightly. Serve with red chili garlic sauce for dipping. Note: You can make these in advance and refrigerate until ready to bake. Happy New Year! It’s been a frigid start to the new year here in Minnesota with most days below zero and wind chills in the negative 20’s and 30’s. The kiddos are back to school after their two week Christmas break but after just a few days back at school, they received a one day reprieve when schools were closed for a cold day due to air temps of -10 and wind chills of -35. Although it’s been incredibly cold, we are hearty here in Minnesota, and it hasn’t put much of a damper on our fun. 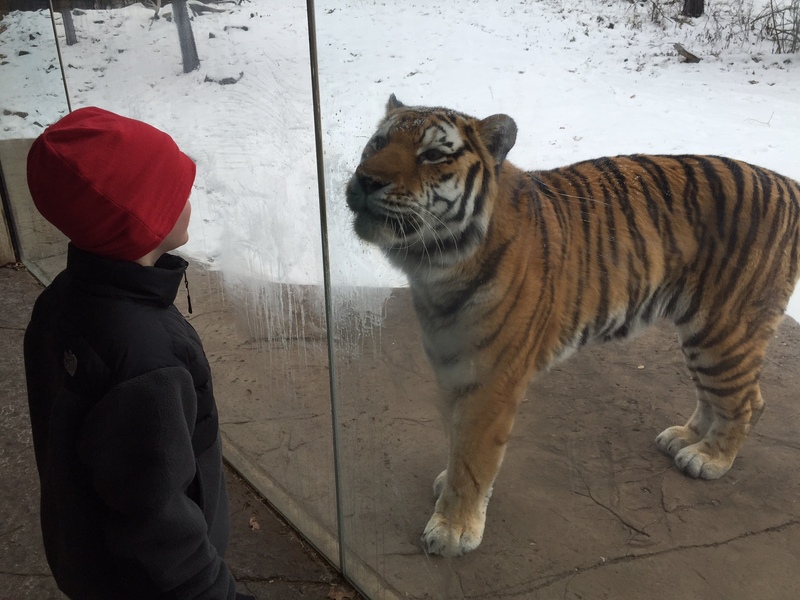 Over the past few weeks, we’ve bundled up and gotten out for basketball games, a trip to the Mall of America, and even a trip to the Minnesota zoo. It’s amazing how much more active the wild cats are during the winter months, and watching them up close, with the absence of the summertime crowds, provided ample entertainment for all of us. Beyond adjusting to the cold weather, I’ve spent lots of time in the kitchen trying out new recipes and refining tried and true ones. I’ve got loads (and I do mean LOADS) of recipes that I’ve clipped from magazines or newspapers over the years in hopes of eventually giving them a try. Well, this year I’ve resolved to actually dive into as many as possible – keeping only the best of the best and ditching the ones that turn out so-so. Which brings me to the January cake. 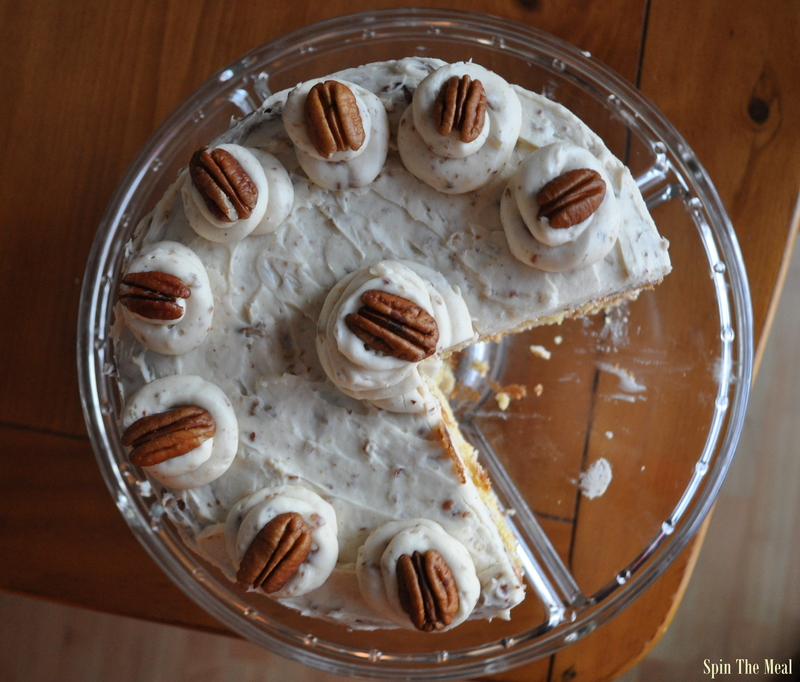 This month I chose to give the Italian Cream Cake a try. 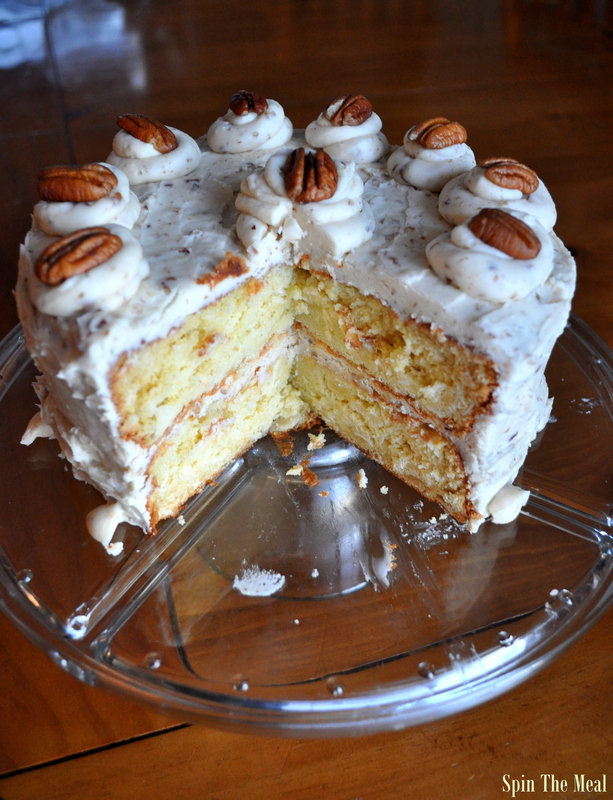 It’s a lovely white cake with a toasted pecan, cream cheese, butter, and powdered sugar buttercream. The recipe calls for 5 eggs – separated – with the yolks blended into a butter, shortening and white sugar combo. After that, flour and buttermilk are incorporated alternately. 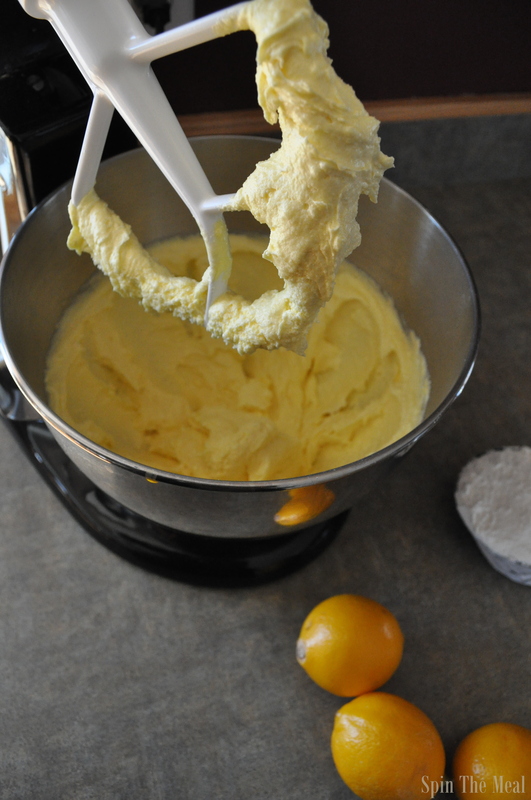 Next, the egg whites are beaten in a separate bowl until stiff peaks form, and then are gently folded into the batter. Finally, shredded coconut is added to the batter. The recipe calls for sweetened shredded coconut, but I used unsweetened, and it turned out fine, as the white sugar in the batter along with the sweet frosting provide plenty of sweetness. For the frosting, I toasted the pecans before incorporating into the mixture, and I learned to watch the pecans very closely as my first batch burned in the blink of an eye and I had to start over. The Verdict: This was a wonderful, moist, tasty cake. 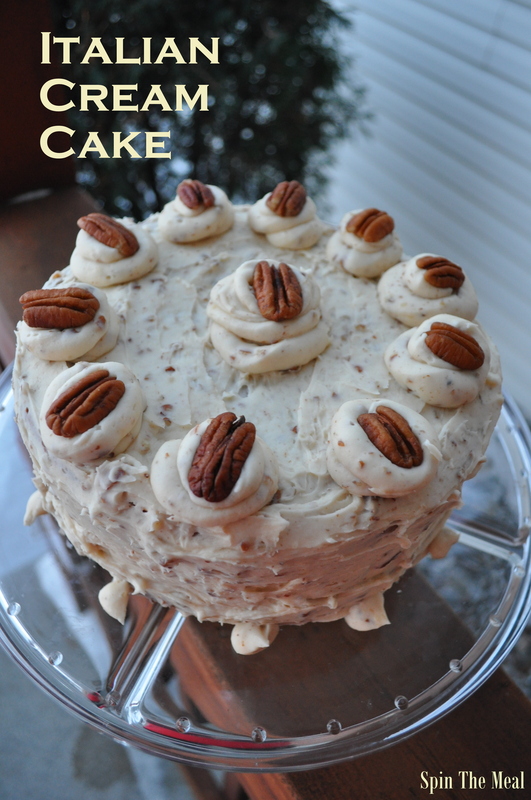 I loved the idea of the toasted pecans in the frosting. They added a nice texture and crunch, and I will definitely file this recipe away to make again to take to events. 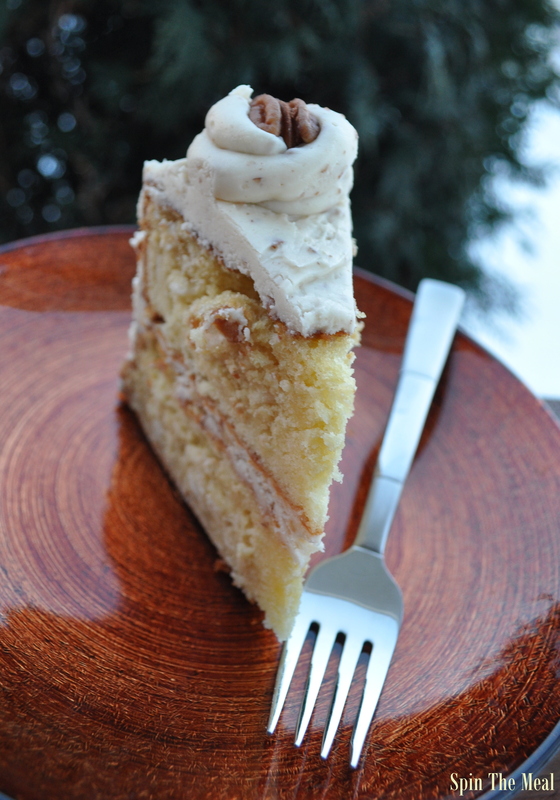 Unfortunately, my chief cake eater in the house – my ten year old son – is allergic to nuts. Fortunately, I was able to tempt my fabulous coworkers into devouring the cake so that it didn’t go to waste! Hot buttered rum just screams fa, la, la, la, la. 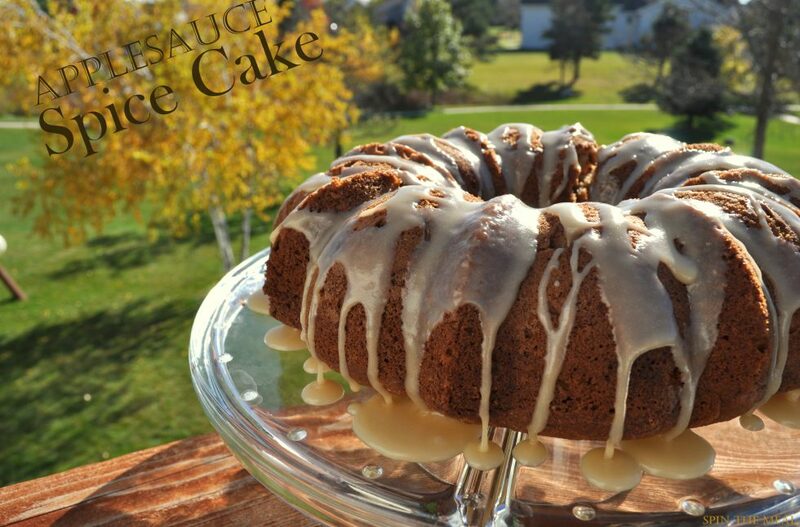 Drizzling it over a butter-laden bundt cake just makes sense. Tis the season! It’s our second cake reveal from our newest book, and amidst all the holiday hustle and bustle, I managed to find time to bake this month. 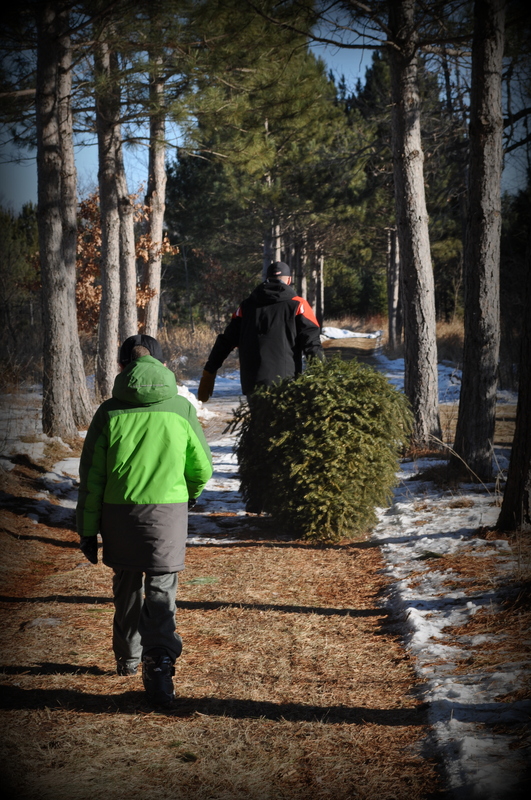 Every year, we drive 45 minutes north to a Christmas tree farm where we tromp through acres and acres of balsams, fraisers, and canaans in search of the perfect tree. This year was a special treat as it was not only a mild weather day that allowed us to keep hunting as long as necessary until we found the perfect tree, but we also got to watch two eagles soaring above us throughout our search. 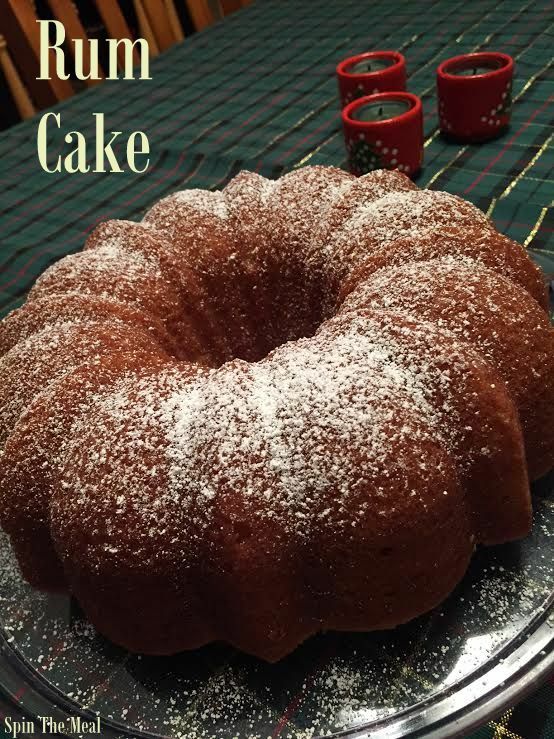 After the tree was up and our halls were decked, it was time to get going on the monthly cake. 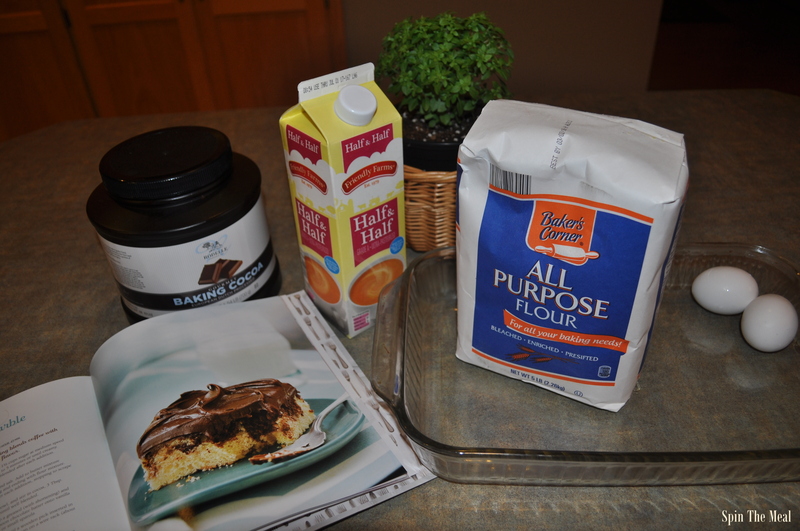 Since December is packed with birthdays for our family and friends, there’s ample opportunity to bake a cake. This particular cake went to the office to celebrate my friend Rhonda’s birthday. 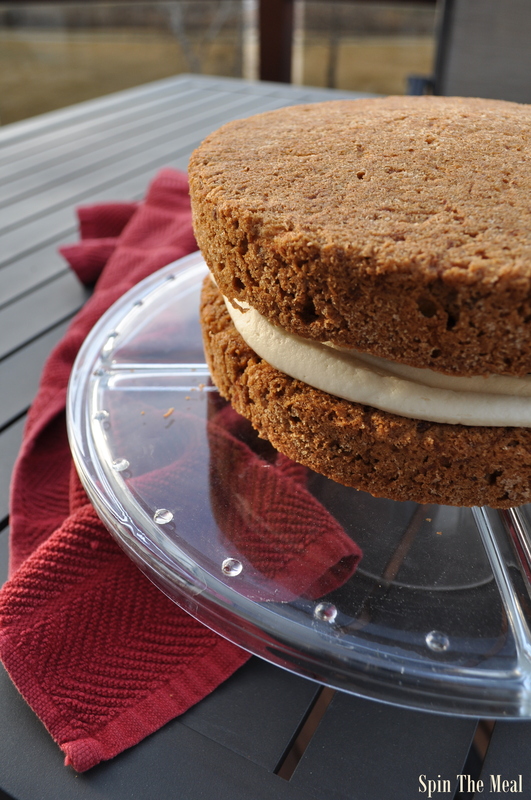 The cake itself contains THREE sticks of butter, and the original recipe calls for both rum and banana liqueur. I used Captain Morgan spiced rum and substituted lemon juice for the banana liqueur. I also substituted 2% milk for heavy cream as that’s all I had on hand…and I neglected to read through the recipe beforehand to make sure I had what I needed…all planning goes out the window in the holiday rush! 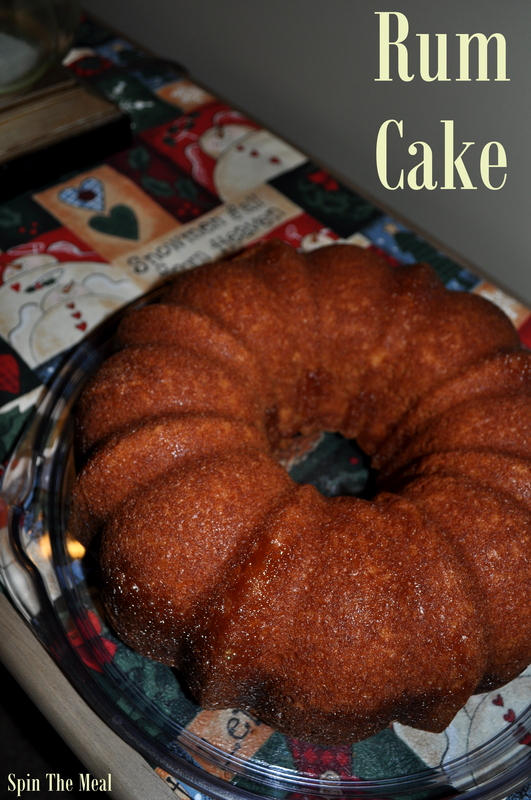 The cake is finished off with a hot butter, sugar, rum syrup that is drizzled on the cake while still in the pan so that it absorbs into the cake, creating a moist, buttery, rum cake. Delish!! !